We all know what succession certificates are, or at least we think we do. The words ‘succession certificate’ brings to mind a document in nature of probate or letters of administration. Therefore, on the death of a member of a co-operative housing society, the society will usually require legal heirs to obtain a succession certificate, before entering their names as members of the society. Even statutory bodies like MIDC or CIDCO also follow the same practice. Even companies at the time of transmission of shares request legal heirs to produce a succession certificate before entering their names in the company’s register. The general opinion of these authorities/bodies is that the succession certificate indemnifies them and is proof of title of the legal heir. However, this is absolutely wrong! What really is a succession certificate? A succession certificate does not determine title to the property of the deceased, nor does it determine what property did or did not belong to the deceased. A succession certificate merely enables a party to collect any debt or security which belonged to the deceased. It is meant for protection of debtors, so that they should know as to whom they can pay the debt due to the deceased person without incurring risks. Succession certificate does not establish the title of the certificate-holder. When can succession certificate not be granted? 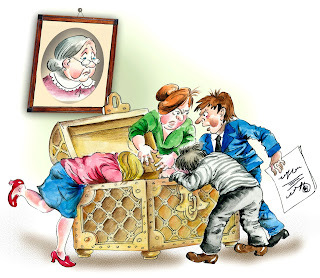 Moreover, a succession certificate will not be granted in cases in which probate or letters of administration is compulsory, or where probate or letters of administration is already granted. A succession certificate is also invalid if a previous certificate in respect of a debt is already in existence. Who can grant succession certificate? It should be noted that obtaining a succession certificate is generally easier than obtaining probate or letters of administration. Thus, if you have been asked for a succession certificate from any authority, you may want to think twice and consider the above factors, before you decide to teach them exactly what a succession certificate is. It may happen that the misconception regarding succession certificates proves to be a boon. Nice blog shared here. One can also get admission in list of top 20 architecture colleges in india only at SMMCA Nagpur.